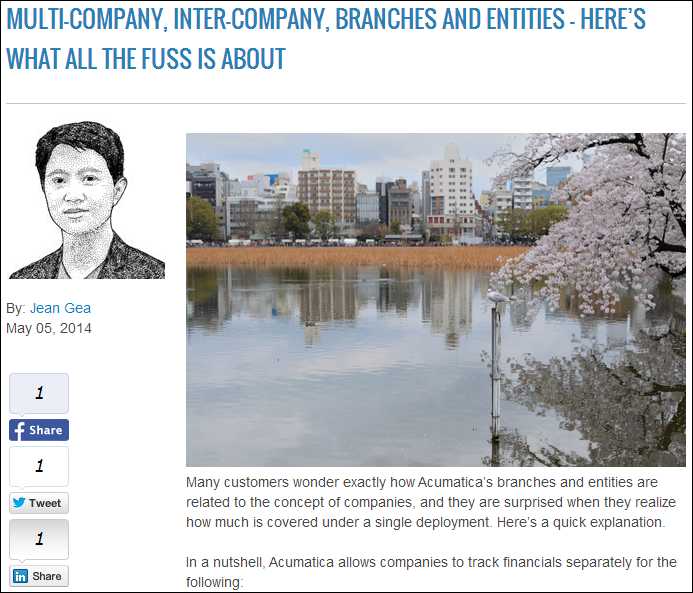 Jean Gea has a new post up on the Acumatica blog with a nice simple overview of how multi-company works in Acumatica. I blogged about this last year after taking the F300 Inter-Company Accounting (V3.0) course (cilck here). It looks like what they used to call companies, they are now calling entities. Acumatica is definitely in a good position to appeal to companies with multiple distinct business units because of how easy it is to deploy web-based technology and because of the strong multi-language support that Acumatica offers.